West Hampstead Life | Need a flatmate? Win a prize! Need a flatmate? Win a prize! Here’s a good thing. Win vouchers at West Hampstead businesses simply by advertising for a flatmate. Lots of you use Twitter as a way to find flatmates. You post a tweet and, as long as I see it, I RT it adding the #whampflat hashtag. You can see the most recent tweets on the website (you may not have known this). Now we’re stepping this up a level, in conjunction with Apartli. Apartli’s a flatmate finding service run by ex-whamper (so you know it’s going to be great, right?) Simon, who some of you have probably met. He’s a very nice guy and Swiss, so what could go wrong? What’s different about Apartli? It’s the first flatsharing website that allows users to find flatmates and flatshares through their friends by letting users sign in through Facebook. On registration, users can see if they know potential flatmates through a mutual friend. You don’t need to sign in in order to browse available flatshares though. Arranging viewings is easy. Users can see viewing times for each flat and request a viewing with the click of a button, removing the need to play message tag just to find a suitable time. So, if you’ve got a room to rent in West Hampstead (and yes, this might be just across the border in NW3 or NW2) then place your ad for free on Apartli and the first 10 ads will receive a £10 voucher from local businesses including The Wet Fish Cafe, Mill Lane Bistro, The Gallery, Cocoa Bijoux, West End Lane Books and Feng Sushi (I’m afraid you can’t choose which voucher you get – it’ll be drawn at random, but c’mon – they’re all pretty decent right?). 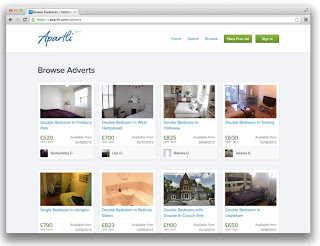 To enter, publish a real West Hampstead flatshare ad on Apartli using the promo code WHAMPNW6. A “real NW6 flatshare ad” means it is a real flat in West Hampstead, London that is really available and you are really the one looking for a real flatmate. For reals. You can only enter once. How many flats do you have anyway? The first 10 eligible real ad posters will win a £10 voucher for a local NW6 business. The voucher has no cash value and Apartli won’t exchange or substitute it for anything else. Once your ad is published Apartli will review it for its eligibility and send you a email within two working days to notify you if you’ve won. If you’ve won, Apartli will ask for your address so your voucher can be mailed to you. You need to have at least three photos. Please read the full terms and conditions on Apartli’s website. Disclaimer: I have no financial connection with Apartli, I’m just helping Simon kickstart the operation in this area because it helps solve a genuine issue people have. We are hoping to integrate Apartli into West Hampstead Life at some stage though. 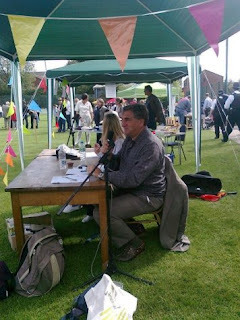 Kilburn Grand Tour in October What have I missed since September 24th?